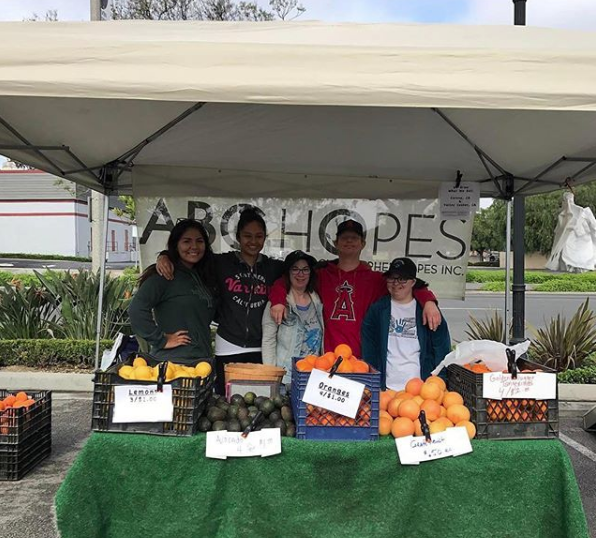 Each month Elizabeth Hayden, Corona local, and Farmers' Market Expert will feature ABC Hopes produce items and delicious recipes. Try out her recipes and let us know about your experience at your local Farmers' Market. 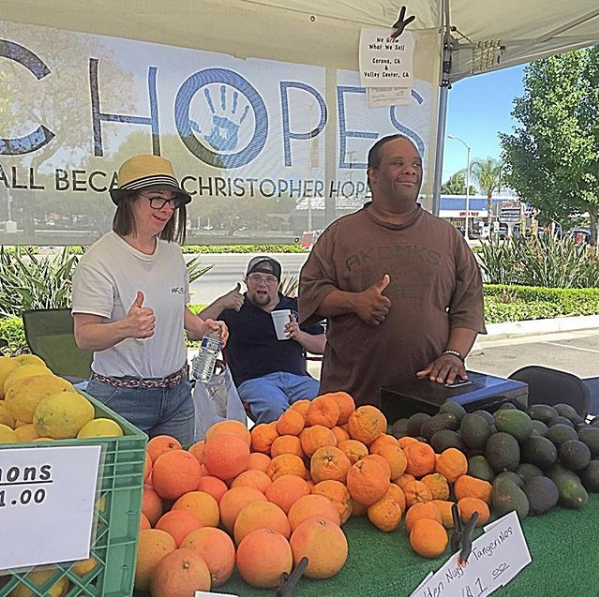 We are accomplishing our mission by training our participants to manage and operate a produce stand at two of our local farmers’ markets; selling produce they have grown or harvested from the local community. At the markets our Hopers practice many skills, such as: money management and social interaction. Come visit us, see our locations below. Located at the Corona Mall, Northwest corner of Main St. and Sixth St.
Preheat the oven to 350 degrees Fahrenheit. Grease a 9x9 baking pan on the bottom and the sides. Combine the flour and sugar in a small bowl. Using a pastry blender, cut in the butter until you have coarse crumbs. Pat the shortbread mixture into the bottom of the prepared pan. While the crust is baking, combine the egg, sugar, juice, flour, baking powder and lemon zest in a bowl. Beat until smooth. Pour the mixture over the warm crust. Cool the bars and then sprinkle them with sifted powdered sugar. Cut into 12 squares and store the bars in an airtight container. 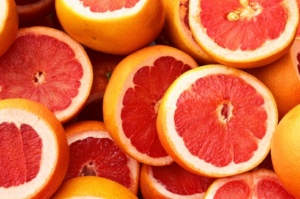 Using a sharp knife, peel the orange, grapefruit, lemon and lime, removing all of the white pith. Working over a strainer set over a bowl, cut in between the membranes and release the citrus sections into the strainer. Squeeze the membranes over the bowl to extract as much of the juice as possible. Whisk the olive oil and tapenade into the juice. Cut the citrus sections into 1/2-inch pieces and add them to the dressing, along with the red onion and parsley. Season with salt and pepper. The salsa can be refrigerated overnight.